Beards have reached new heights of popularity in the 2010s and there are countless beard styles men are wearing now. It is estimated that more than half of the world’s adult male population has one, and the fastest growing demographic to embrace the beard is the 20-something crowd. And why wouldn’t they? After all, the beard is the ultimate symbol of manliness. That is, as long as it isn’t left to simply grow wild and free. A little bit of style goes a long way when it comes to beard grooming, and finding the perfect style to fit your face shape, personality and lifestyle will definitely turn all heads in your direction. The differences in some beard styles is subtle; others are very distinctive. Understated, classical, contemporary, mountain-man or bold-and-edgy… it doesn’t matter what effect you’re looking for, there is a style that suits every face shape and taste. 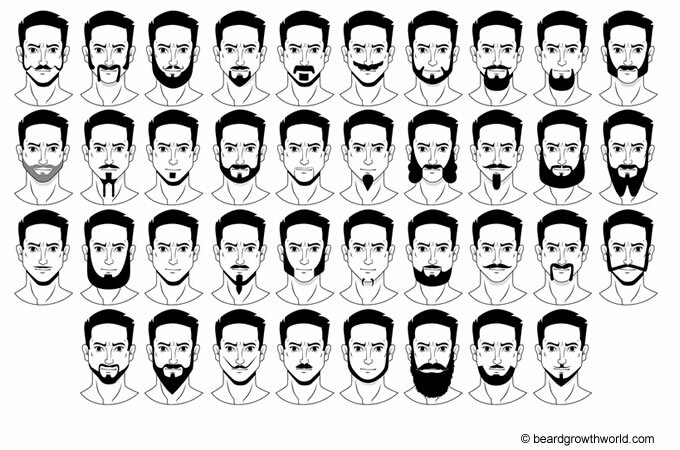 Let’s start with a basic description of beard types and then move on to specific beard styles. 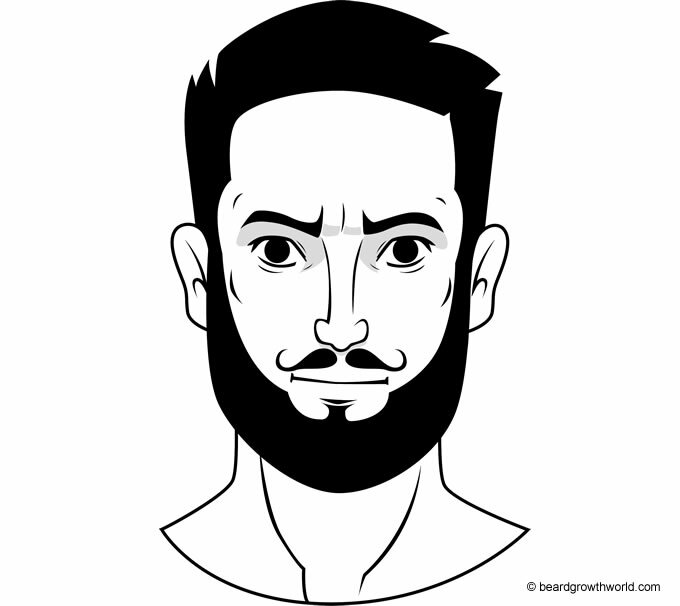 The term “partial beard” is loosely-defined, but basically refers to any facial hair growth (including the mustache) that covers part, but not all, of the skin under the lower lip, lower jaw and the area above it to approximately the cheekbone. A partial beard may or may not extend all the way to the ear area, may or may not include a mustache, and may be any length from stubble to long and beyond. A full beard usually refers to any style/shape where the hair is left to grow and cover most or all of the space under the chin. It extends all the way to the ears on both sides of the face, and covers the face from the jawline or below all the way up to the cheekbone area. A full beard can be very short, even just a couple of days’ stubble, to long and beyond. 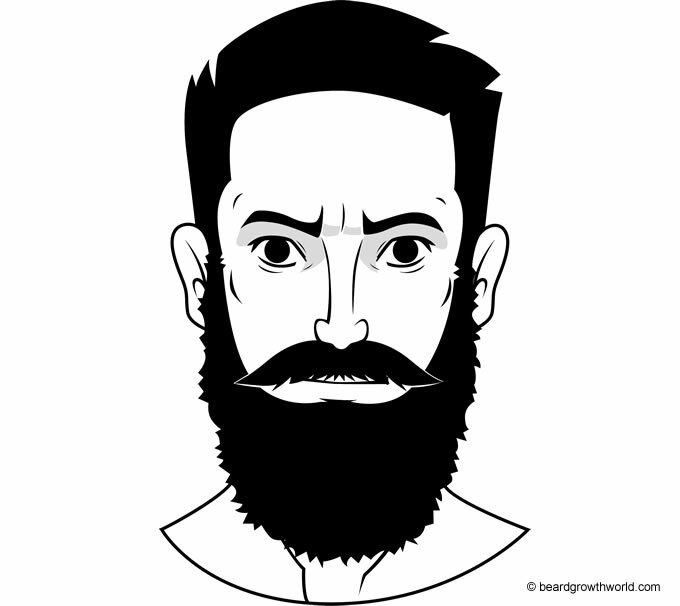 A full beard typically includes a mustache, which usually joins up with the beard hair. As you can see from these explanations, hair length does not matter as much as square inches when defining a “partial” versus a “full” beard. The beard styles we will outline here are either partial or full, but many of them can be worn short or long or somewhere in between. “Style” in many cases refers to the shape of the cut, not necessarily the length of the hair. 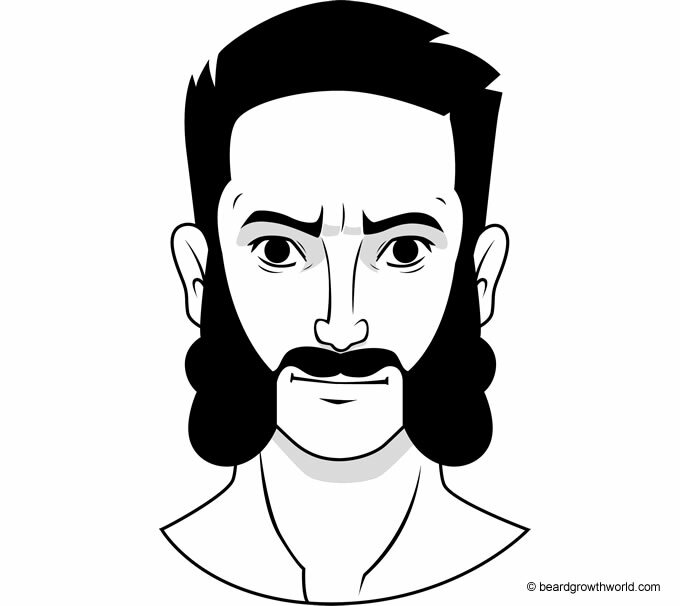 There are many beard styles and mustache styles in the world today. 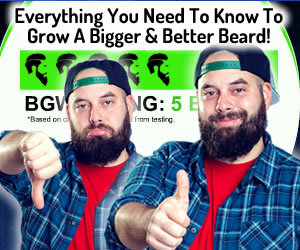 Below you will find 37 of the best beard styles for men. Just a very narrow, short line (resembling a pencil) above the upper lip. The Pencil is typically slightly upturned at its ends. This mustache resembles a very long version of the pencil. The ends are typically twisted tightly as far toward the center of the mustache as possible. The stereotypical style for the 1970s cop, the copstash is slightly wider than the pencil, with ends that extend no further than just past the outer edges of the nose. In this style, the mustache hairs are left to grow longer, so that the ends extend to the lines of the eyes or even slightly beyond. The ends are then twisted into a point. This one is for the avid gamer or the guy who dares to be flashy. Just think Super Mario from the Nintendo series. This style is wide, thick and long, sort of an upside-down handlebar mustache without the twisted ends. This unique and daring minimalist style features a thin, curved “C” shape of hair on either side of the lower chin and downward, like insect jaws. This beard is the smallest patch of hair that can still be called a beard. Almost all facial hair is shaved, except for a small patch of hair just under the lower lip. A soul patch can be worn with or without a mustache. Popularized by American rock musician and guitarist Frank Zappa, this style features a box-shaped soul patch and wide, bushy mustache with ends turned downward at about the mid-eye line. This style requires merely growing the soul patch a little bit longer, so that it extends to the bottom of the chin or slightly beyond, keeping the shape of the lines rounded and tidy. The Imperial can be worn with or without a mustache. The Napoleon the III Imperial is a slightly different take on the Imperial, with the chin hair extending further past the lower chin to form a long soul patch. Barely a beard, this style features a mustache, the ends of which extend all the way to the ear line or hairline. The lines are typically curved and rounded. This is another style that straddles the line between “mustache” and “beard.” The mustache hairs are trimmed to form a very narrow, fairly straight line which turns downward in right angles at the ends. The beard part of the style extends downward to just past the lower part of the chin. This style looks like a cross between a Fu Manchu and a Franz Josef, except the sideburns are cut off from (not connected to) the Fu Manchu part of the style. Similar to the Fu Manchu, but even narrower. Its lines are slightly more rounded, and it typically includes a close and similarly narrow-shaven “beard” which extends the length of the lower jaw line to the ear. As its name implies, it is popular with rap artists. This style is so-named because the hair is shaved and trimmed into an anchor shape around the mouth/chin. The mustache forms the anchor’s crossbar/stock. The soul patch forms the anchor’s stock, and the hair is shaved down to the lower part of the chin and rounded off, forming the anchor’s crown. The hairline moves outward to just past the ends of the mouth and shaved to points, forming the anchor’s flukes. This style is similar to the anchor, but with one difference. Instead of rounding off the bottom, the hair is, instead, trimmed to form a point. This style resembles an upside-down anchor, with its ends (“flukes”) extended outward along the lower jaw line, just past the sides of the nose. The ends are then squared off. This style plays up a handlebar mustache, and features a soul patch which is grown past the lower chin and rounded off. This style combines a soul patch with a patch of hair on the lower chin. Sidelines extend to just past the lips and are straight and tidy. The bottom of the goatee is rounded off. Just like the goatee, but add in a handlebar mustache. Like its name implies, it’s a narrower, more understated version of the goatee, more of a long soul patch, really. Hair is typically trimmed to a point below the lower chin. As its name suggests, this style is like the goatee, except for the sides. They are extended along the lower jaw line, coming to points just past the outer corners of the eyelids. Think “Jack Sparrow” in the Pirates of the Caribbean series of movies. It resembles a long goatee, divided in the middle and each half twisted into a point. The sides may be shaved like a goatee, or they may extend in a fairly narrow line along the lower jawline toward the ear. This style takes sideburns to a whole new level. Facial hair is left to grow from ear to lower jaw and ear to approximately a distance extending to the outer corner of the eyelids (resulting in the shape of mutton chops). The entire area below the lower lip is shaved bare. Sides are left relatively bushy. Mutton chops are typically worn with a mustache which connects to the “chops” at its ends. As the name suggests, this style resembles mutton chops, with the major difference being that the “chops” are worn much more closely-shaven. This style could be thought of as mutton chops on steroids. It’s for the truly brave who dare to grow mutton chop hair to extreme lengths. It’s a definite attention-getter. Although this style resembles a full beard in many ways, it is still considered a partial beard because it only covers the lower half of each jaw and is worn without a mustache. The shape is similar to that of a bib connected to a soul patch. This style falls into that gray area between full and partial beard, and there is a little flexibility in how it can be worn and still be considered “Hollywoodian.” As you may have guessed, it is named such for its popularity among Hollywood actors. It can best be described as taking the ends of an extended goatee and drawing them outward along the lower jaw either all the way to the sideburn area, or stopping just before it. The top of the beard is typically worn just under the lower cheekbone area. It is always worn with a mustache which connects with the beard at each end. Hair is kept short to medium-length. Think Old Dutch, except without the soul patch. The width is also much narrower, with the top hairline being just above the lower jaw, and the bottom just below. This style was made popular by the Klingon race of the Star Trek series. Its designer based it on the style that was prominent in Victorian times. It looks like a shorter, narrower version of the Dutch, with the added feature of triangular points that turn toward the corners of the mouth. This is a classical look that can be worn either very short to approximately half and inch. The mustache ends blend into the beard. This style can be achieved by growing out stubble to about two or more inches. The hair is then shaped into a long and narrow “W” with two points below the lower chin. Sides extend up the jawline to the ear and the mustache meets the beard at its ends. If, instead of shaping the bottom into a “W” you had it trimmed to a point like a “V” instead, you would have a ducktail. This is the full version of the Van Dyke, with sides extending outward along the jawline and to the ear. The mustache ends are blended into the beard. This style resembles a long Balbo, but with sides that extend along the lower jaw to the ear. The bottom is tapered and rounded under the middle of the lower chin. This could be considered the “full” cousin of the partial Dutch. It is similar in most every way except that it features a narrow, curved mustache with ends that blend into the beard. AKA Eric Bandholz was just a regular guy with a passion for beards. He started by competing in a beard-growing contest in 2012. Then he started a blog to unite the bearded community, and within a few years he had a beard empire on his hands, complete with a line of hipster beard products and a beard style named after him. The Bandholdz is similar to, but longer and fuller than, the short boxed and has become something of a contemporary icon for today’s urban beardsmen. To look your best, you should choose a style that suits your face shape. Some beard styles just won’t do for certain face shapes, while others can be tweaked a little bit to make them better-suited to your particular face shape. Keep these tips and hacks in mind. If you have a round face: The idea is to try to slightly slim and elongate the lines of your face. For this reason, guys with round faces should stick with shorter beard styles, with or without mustache. It is especially important to keep sideburns neatly trimmed. You can opt for short sideburns that taper into slightly longer hair below the chin if you wish. This will help to accentuate your chin, one of the best features of the round face. If you decide to eschew the beard in favor of just a mustache, you’re in luck… the round-faced guy can wear virtually any mustache style and look amazing. Styles to avoid if you have a round face: Chin Curtain, Dutch, Balbo, Klingon. If you have a square face: You have that chiseled jawline that ladies go crazy over, so the last thing you want to do is take away from it. Your best beard styles are those that keep the hair closest to the sides and jawline trimmed short, with a little more length and fullness under the chin. Avoid trimming to a point at the chin; either round it off wide or taper and slightly round at the bottom. Styles to avoid if you have a square face: Hollywoodian, Klingon, Ducktail, Short Boxed, French Fork. If you have an oblong/rectangular face: If your face is more square at the jawline, you’ll want to soften it up a bit, while those that have a more rounded jawline may want to create the illusion of definition with squarer hairlines. With that in mind, opt for styles that are fuller at the sides and shorter at the chin, such as the short boxed. 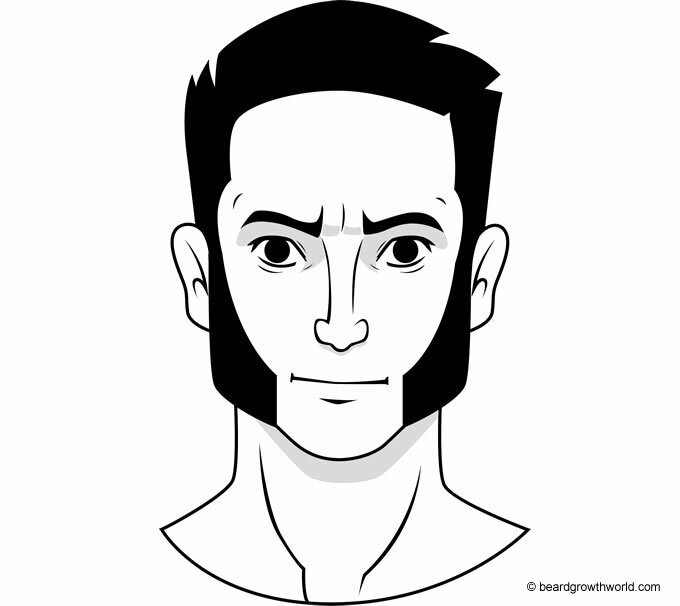 Styles to avoid if you have an oblong/rectangular face: Mutton chops/friendly mutton chops, Hulihee, Dutch. If you have an oval face: Ovals are fortunate in that they can pull off just about any beard or mustache shape. If you opt for a trimming your beard to a point below the chin, shorter, rather than longer, hair will be better-suited to the oval-shaped face. If you want to create the illusion of a squarer, more defined jawline, go for a boxier-cut beard, such as the short boxed.